It remains a stroke of fortune that in the turbulent times of the 17th century with its numerous cultural and military upheavals the artistic depiction of human life took a similarly rapid and proliferous development. Never before in history had society in all its squalor and splendor been presented in so many pictures of outstanding artistic quality. 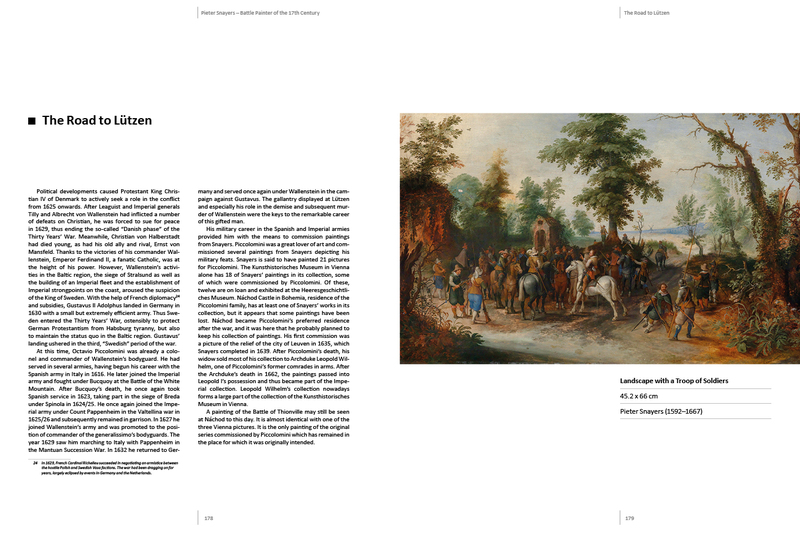 At the end of the 16th century the Golden Age of Painting began to evolve especially in the Low Countries. Many contemporary paintings also show events from the Eighty Years War, the United Provinces’ struggle for independence from Spain. 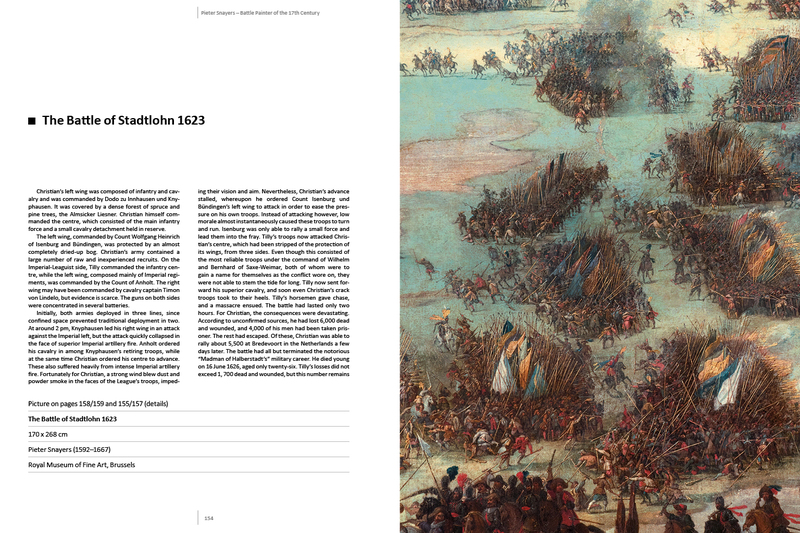 However, an entire generation of artists also chose to paint events from the great European conflict which erupted at the same time: the Thirty Years War. Born in Antwerp, Pieter Snayers was a fairly typical representative of this generation of painters. 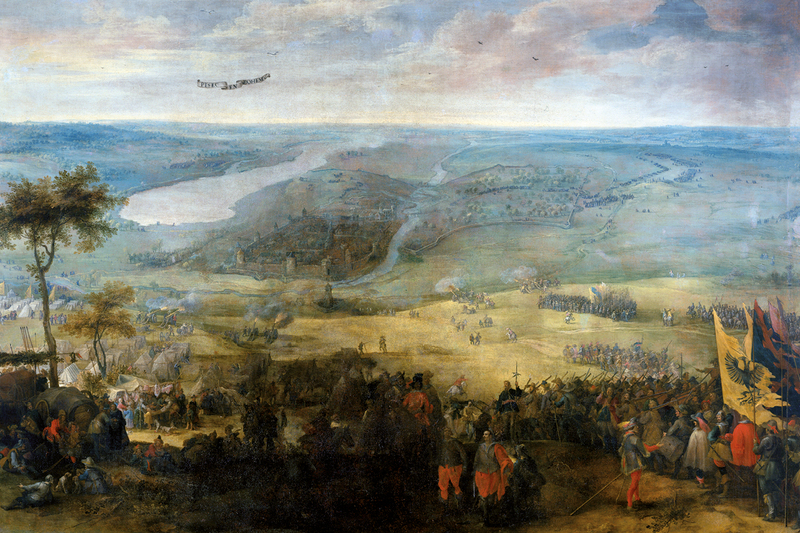 From a military historian’s point of view, his works are considered particularly authentic. 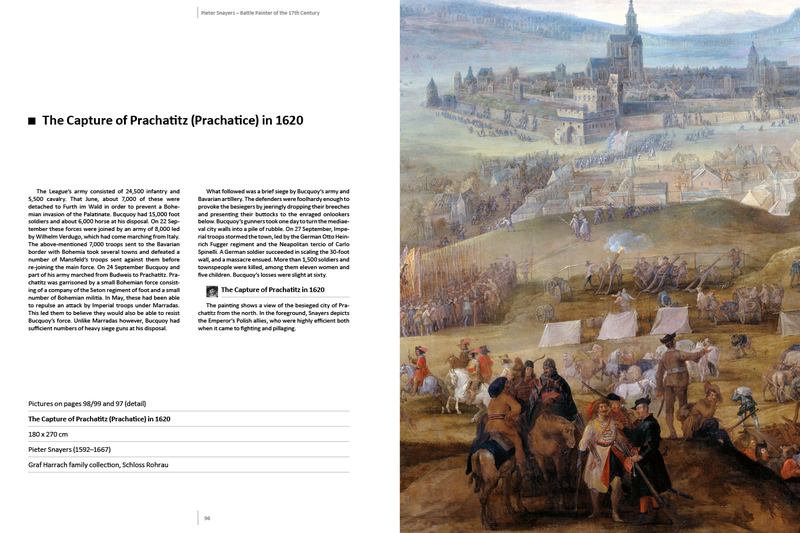 Many of his paintings showing sieges betray meticulous care in the depiction of the cities and fortresses concerned. Snayers’ topographical and analytical approach remains unsurpassed. 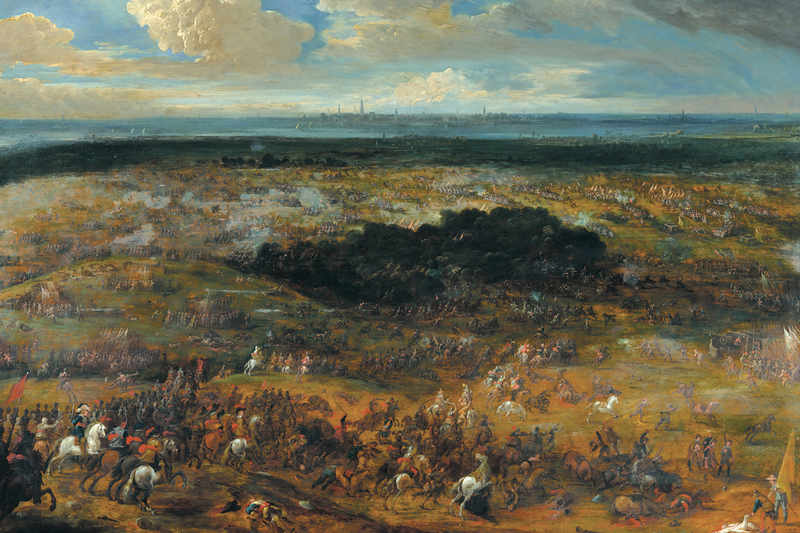 Even his paintings of major battles (which rarely occurred) defy any form of profound criticism. Snayers’ rendering of the everyday life of the common people involved is straightforward, graphic and occasionally dramatic. We are thus able to gain insight into the events of his time unimpeded by clichés and historic myth. Pieter Snayers’ works are on display in numerous collections worldwide. 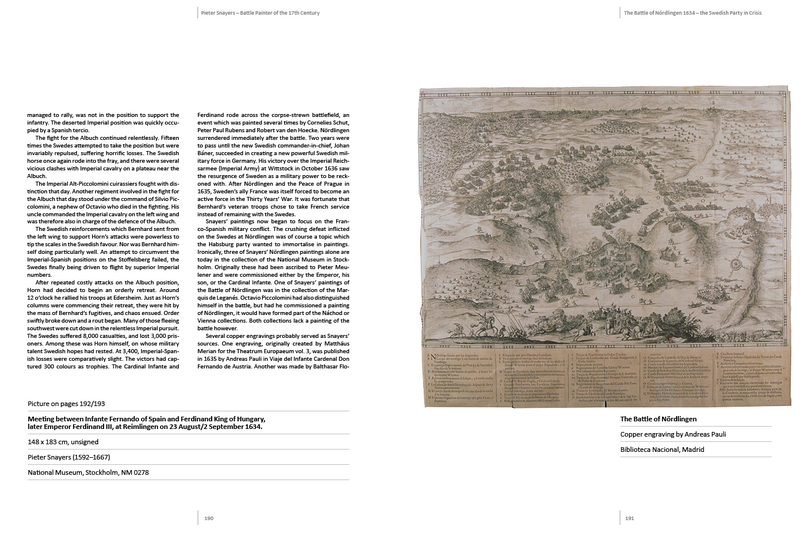 With the help of his paintings, many of which are very large in format, this lavishly illustrated book will seek to relate the history of the conflicts depicted. 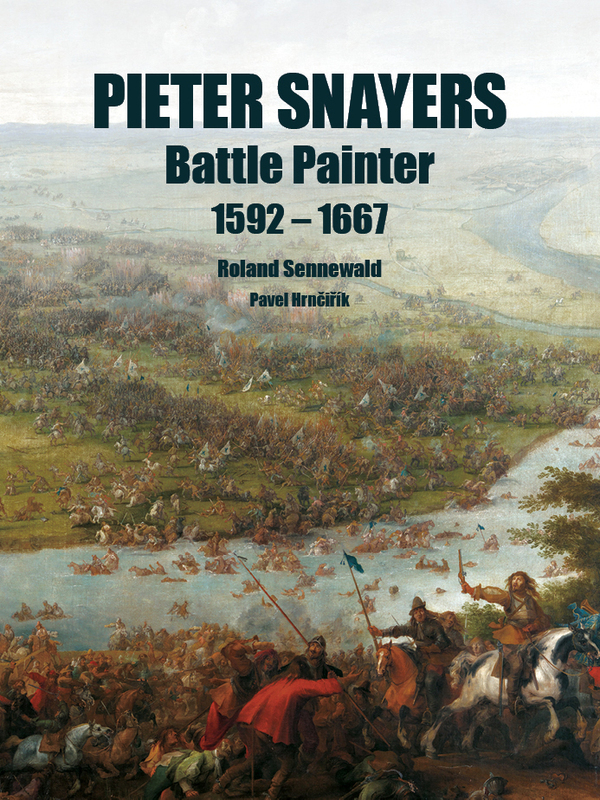 Author Roland Sennewald has compiled a collection of more than 100 of Snayers’ works from all over the world, creating an impressive testimony of his creative talent and relating the story of both the Eighty and Thirty Years Wars, and the times before and after. Snayers was born in Antwerp where he was baptized on 24 November 1592. His father Lodewijk was the city messenger of Antwerp for Brussels. He was enrolled as a pupil of Sebastiaen Vrancx in Antwerp’s Guild of St. Luke in 1612. Sebastiaen Vrancx was a prominent battle and genre painter. In 1613 Snayers became a master in the Guild. In 1618 Snayers married Anna Schut, a cousin of the painter Cornelis Schut. Their first child Cornelis was baptized on 8 September 1620. Snayers achieved success as an artist. In Antwerp the family lived in luxury and Snayers participated annually in the lavish banquet of the chamber of rhetoric Violieren. Snayers joined the painters‘ guild in Brussels on 16 June 1628. He became a citizen of Brussels at the same time. It is believed he had been working for the Archduke Albert (died in 1621) while living in Antwerp. He had been appointed court painter and ‚domesticq van ‚t Hof” (domestic of the court) by the Archduke. Snayers likely moved to Brussels in order to pursue opportunities at the court of the Archduchess Isabella, the widow of the Archduke and the governess of the Southern Netherlands. After Isabella’s death in 1633, Snayers became court painter to the next two governors, the Cardinal-Infante Ferdinand of Austria (1634-1641) and the Archduke Leopold (Wilhelm) (1647 to 1656). For them he painted scenes of victorious battles in the tradition of sixteenth-century tapestries. 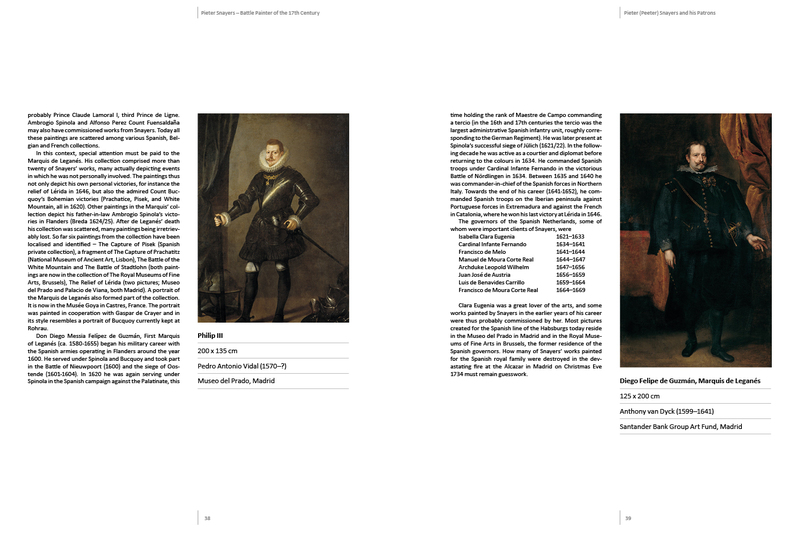 He painted portraits of the aristocracy in Brussels and large landscapes. He also worked for other eminent patrons and the open market. 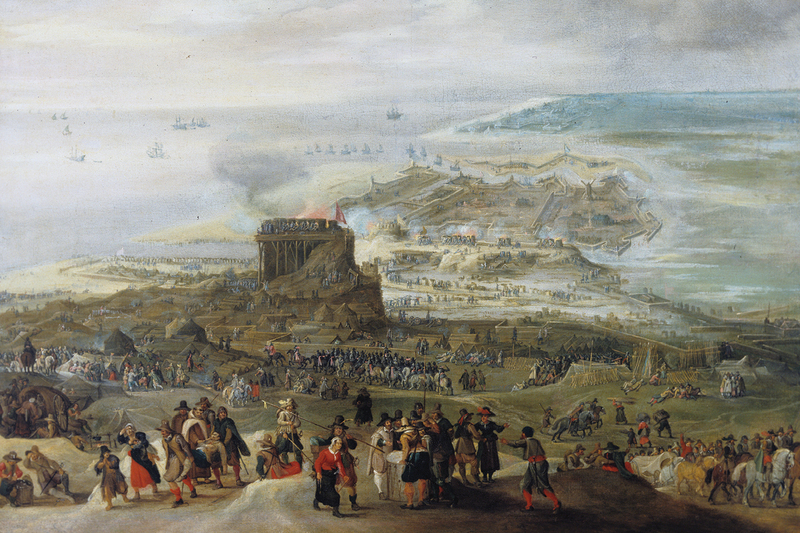 A highlight in his career was a commission for 22 battle paintings by general Ottavio Piccolomini. While working in Brussels he regularly visited his hometown Antwerp but never returned to live there. 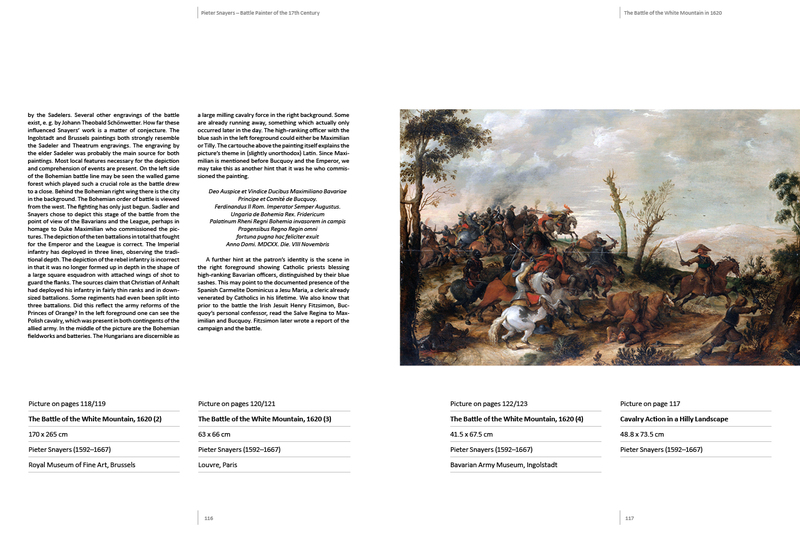 He collaborated with painters in Antwerp such as Peter Paul Rubens on several occasions, including on the never-finished Life of Henry IV cycle (1628–30) and the Torre de la Parada series (c. 1637–1640). 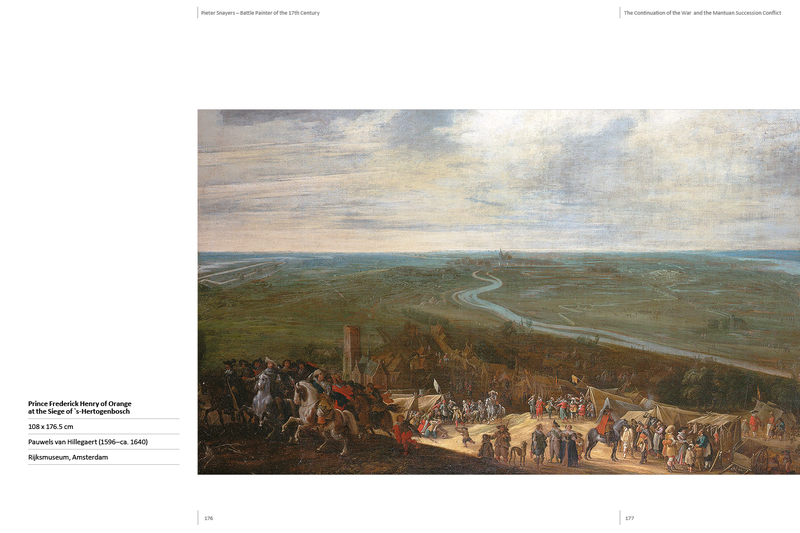 Both during his Antwerp and his Brussels periods, He mingled with the elite of his time. He climbed the social ladder and aspired to live a lifestyle similar to that of the aristocrats of his day. He was thus an example of the 17th century ‚aristocratization‘ of successful citizens. His pupils included Guilliam van Schoor and Adam Frans van der Meulen. The latter became a leading battle painter and court painter to Louis XIV of France. There is no record of when Snayers died but it is believed he died in Brussels in 1667. 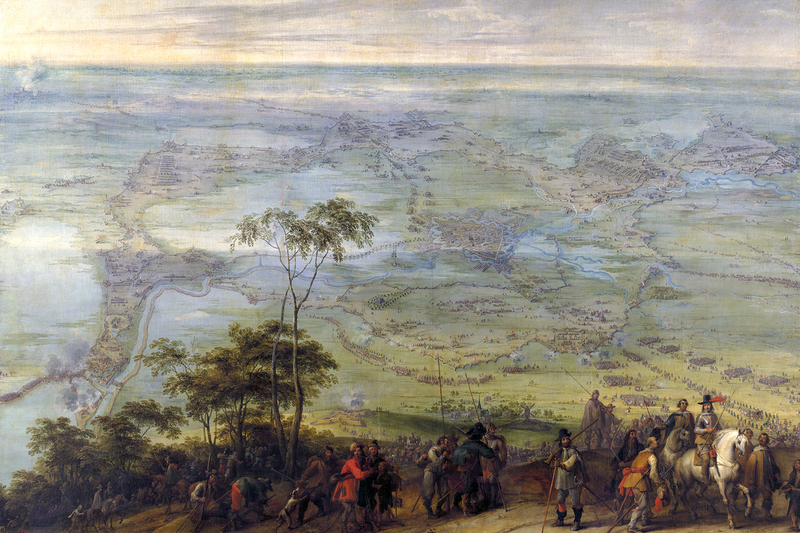 Siege of an Unknown Town – Bergen op Zoom 1605?